Gas, electricity, water consumptions; safe box, TV sat, a car seat per apartment, private beach (1 sun umbrella + 2 sun chairs per apt) at the chalet Villaggio Rosa Baia Falcone (1500 meters far from our Village, only in June and September); shuttle service to the beach, equipped box for medium and big size dogs. 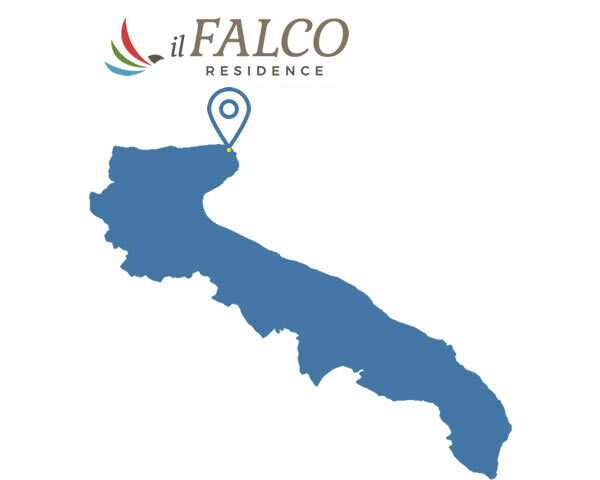 Air conditioning: € 50,00 per week or € 10,00 per day for stays that are long less than a week, on request at the booking time (according to availability); private beach service (1 sun umbrella + 2 sun chairs per apt) at the chalet Villaggio Rosa Baia Falcone (July and August). Any extra car: € 5,00 extra per day. 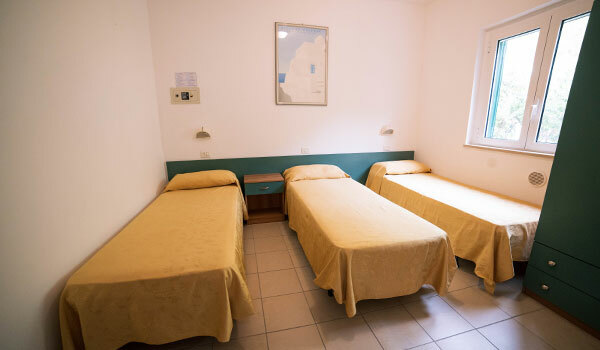 Bed linen and/or bath linen can be rent if necessary: € 6,00 per person per change. Final cleaning: € 35,00 per studio apt, € 40,00 per two rooms apt and € 50,00 per three rooms apt; in case of the kitchenette will not be cleaned we will withhold € 30,00 to the deposit, tha is of € 100,00. Small size pets will be keep in the apt, € 35,00 extra cleaning. Into the Village the pools, the bar, the equipped boxes (also suitable for big size dogs) and the parking (1 car per any apt). 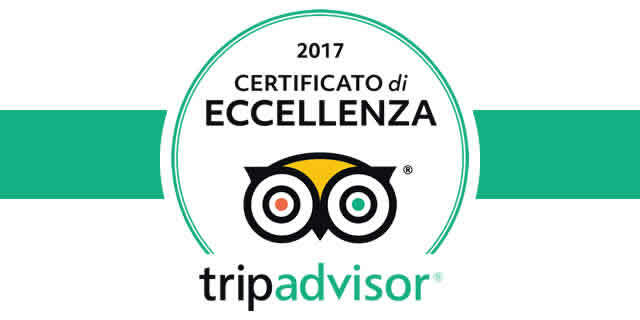 At the Village Rosa Baia Falcone (1500 meters far), it is possible to enjoy the private beach service (July and August excluded) and all the services: bar, restaurant, entertainment and miniclub (July-August). They will be accepted the bookings to whom will follow, in 7 days, an account that is equal to the 30% of the total amount of the stay, as a deposit. Dates of booking are binding. Stays go to Saturday to the next Saturday and to Sunday to Sunday. Final payment has to be payed at the arrival time. the booked time will be fully payed even in case of delay or early departure. BOOK EARLY: for bookings within the 01.31.2017, 10% off (period F excluded). Apt are available from 5 PM to 8 PM the arrival day; at the departure they have to be left within 10 AM. In case of delayed arrival the apt will be keep available up to the 9 PM of the next day if you will communicate about your delay; otherwise, the Management has the right to rent to others the apt, without any refund. By entering the Village, the Guest accepts our rules, that could be integrated with specific signs. In case of quits, we will refund the 50% of the deposit only if the cancellation will be done by registered mail, thirty days before the arrival day, whatever will be the reason. Otherwise, the deposit will not be refunded. The booking has to be totally payed in any case. 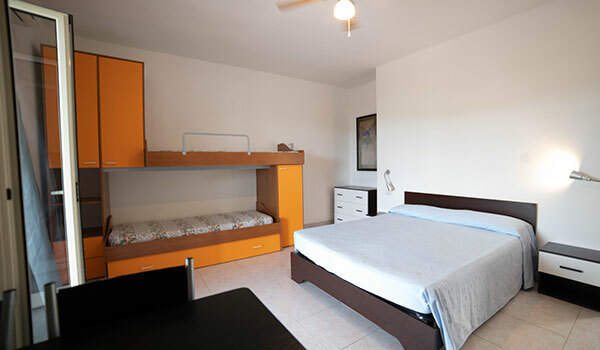 STUDIO APT 2: it has a double bedroom, kitchenette and private bathroom with shower box. 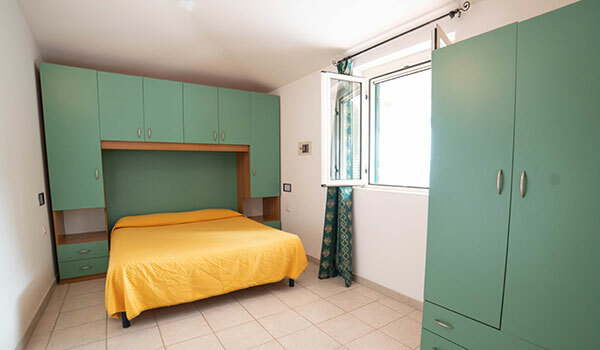 STUDIO APT 4: double bedroom and a bed that can be pulled out, kitchenette, private bathroom with shower box and equipped veranda. TWO ROOMS APT 4/6: it has living room with kitchenette and bed that can be pulled out, a double bedroom, private bathroom with shower box and outdoor equipped veranda. THREE ROOMS APT 4/6: it has living room with kitchenette, double bedroom, bedroom with two single beds, private bathroom with shower box and outdoor equipped veranda. The property offers an indoor dog house for your 4-legged friends. N.B. : the number of the persons that are declared at the booking time has to be the same all the stay long, children included. The visit of relatives and friends is allowed (after showing a document), for a maximum of 2 hours.